Washington, NJ: Vibrating screeners from process equipment manufacturer The Witte Co., Washington, New Jersey (www.witte.com), are designed to permit fast, easy, full access to the loading tray, screening area and pan to allow frequent, thorough cleaning and speed product changeover while minimizing line downtime. Easily disassembled in minutes by one person with no tools, the low-maintenance Witte vibratory screeners are accessed by opening the company’s one-handed C-clamps mounted around the perimeter to release the optional dust control covers and screens for removal and reveal the entire pan for inspection. Ideal for screening virtually any dry, granular, free-flowing and non-free flowing products without clogging, the Witte screeners are available with a choice of wire mesh or perforated screens in standard widths of 10, 23, 35 and 47 inches and in custom sizes. 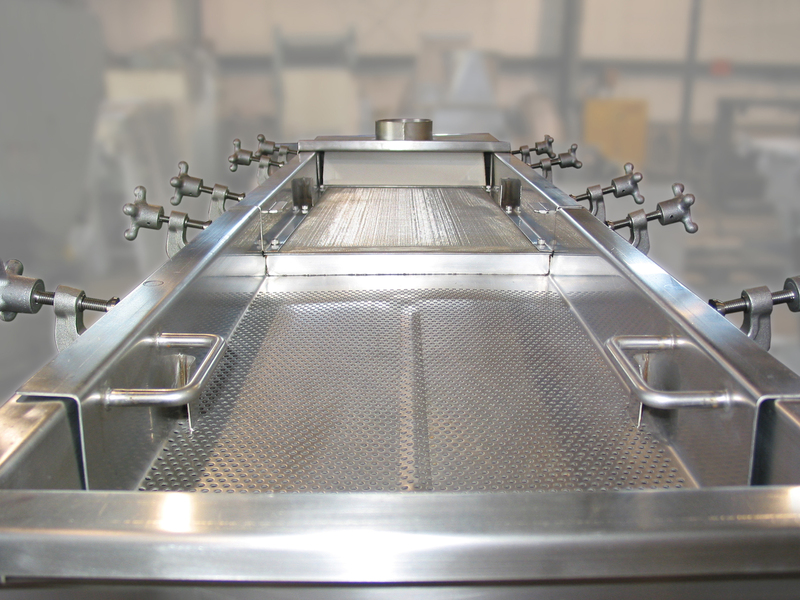 To meet FDA requirements for sanitary processing, the screening system is also available in 100% stainless steel with continuously welded and polished seams.